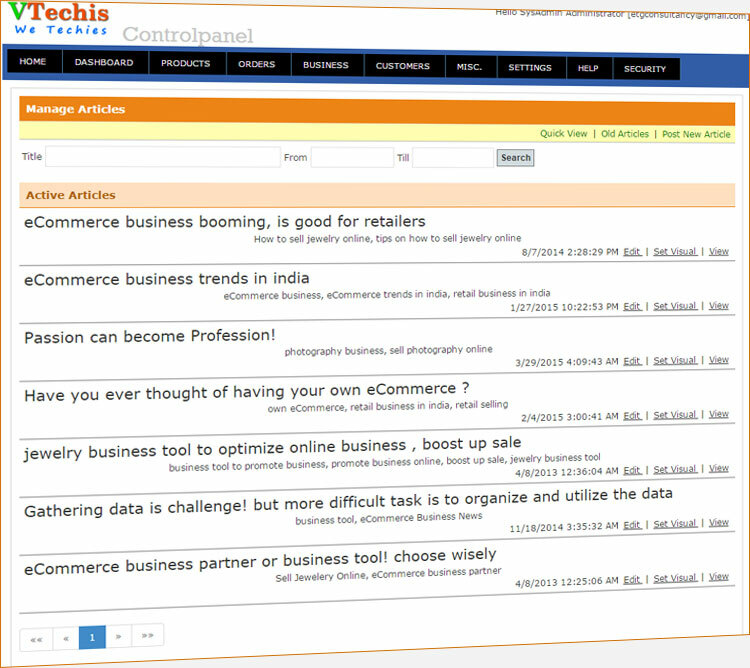 Content is King in any business, At VTechis eCommerce, we have complete Content Management lifecycle implemented, A perfect CMS for Small Business, help you to grow your business. Keep sharing every single information that educate your buyers & the industry, and this may help you to gain popularity in social media in very organic and quicker way. 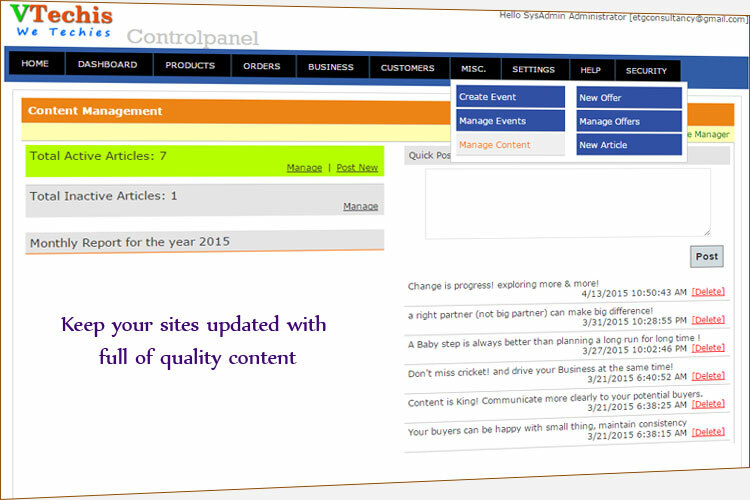 Good content will always help you in SEO, get you more quality traffic, eventually make your business more successful.